short & sweet ( and perpetually polished): This ones in my fave five! 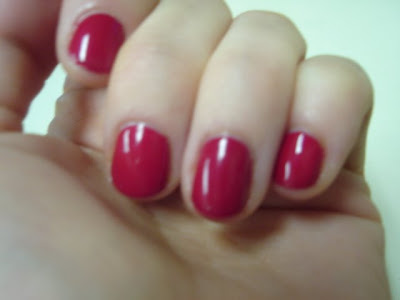 Today's mani is opi red. This is definitely in my top 5 favorite colors of all time (along with you don't know jacques, lincoln park after dark, tickle my francey, and you're such a kabuki queen) This color is bold, but I consider red to be a neutral polish color. It goes good with just about every outfit, and looks great on most skin tones. 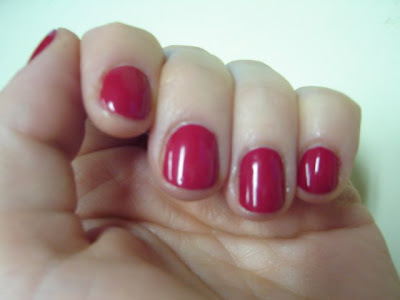 This is my favorite red, in two coats it's opaque and just a true red creme. No shimmer, no sparkles, no gimmicks!